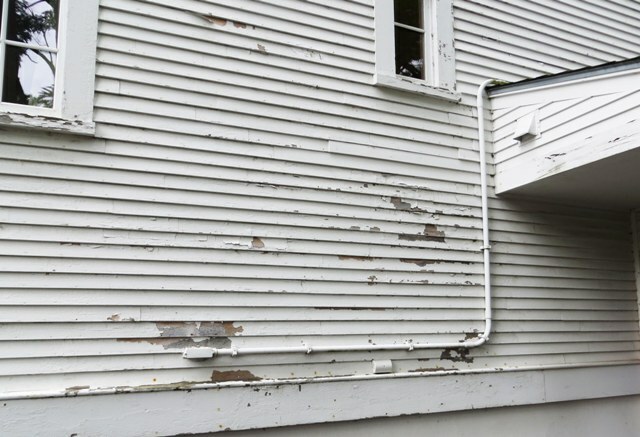 We are dedicated to insure that all of our buildings and their grounds meet/or exceed federal and state inspection requirements; are operating in an efficient and safe means; and that proper preventive maintenance programs are in place. In addition, we strive to make certain that our parks and recreation grounds are clean, safe and present the town in a positive and beautiful way. 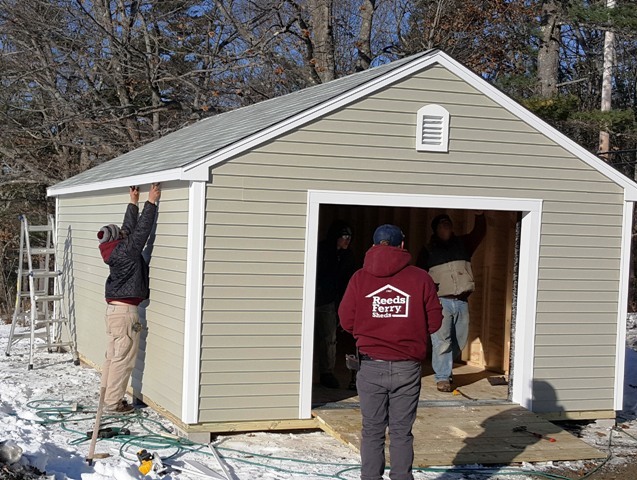 The Building & Safety Committee focuses on safety & building projects to ensure that we meet legal requirements and provide cost effective repairs and updates for the town. 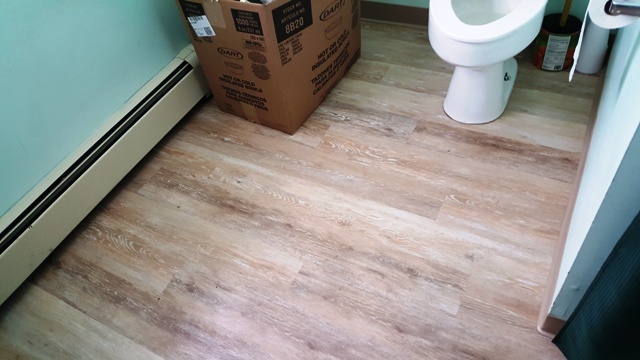 At the Senior Center, floors were replaced in the bathroom, hallway, and reception areas. The "Autoware" parking lot was paved, and outside lights were installed. 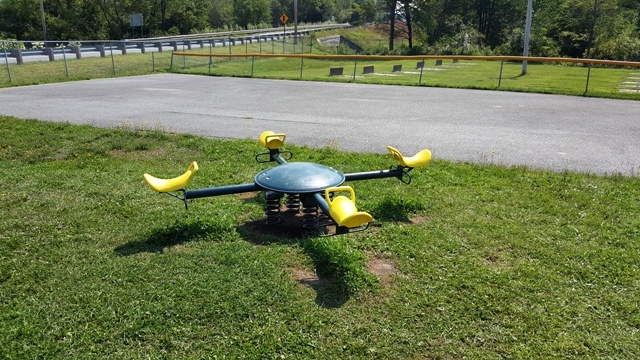 A see-saw that given by donation was installed at Williams Field. Heating lamps were added to the Attendants' Buildings at the Transfer Station, and a roof was built over the trash compactor. 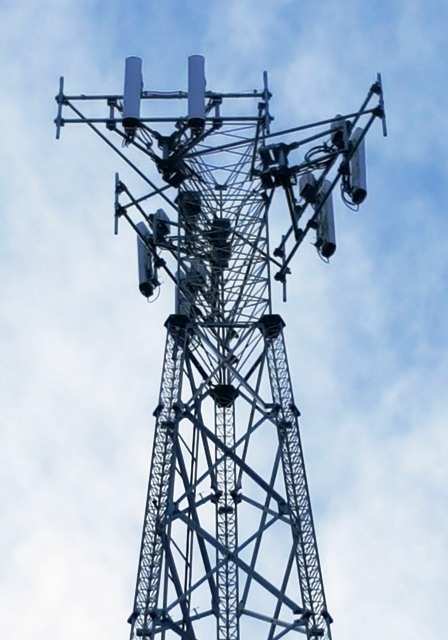 A new cell tower was put into service. 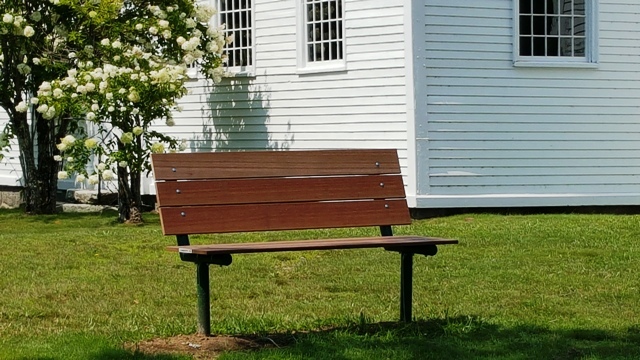 At the Meeting House painting was done and benches were repaired and reinstalled on the green. The Elliot Field dugout was repaired by volunteers from MTD. New Message Sign aquired for the Police Department - Rescue and Fire Department. Materials were donated by Competition Complex, and labor for installation was donated from all Departments including Highway. 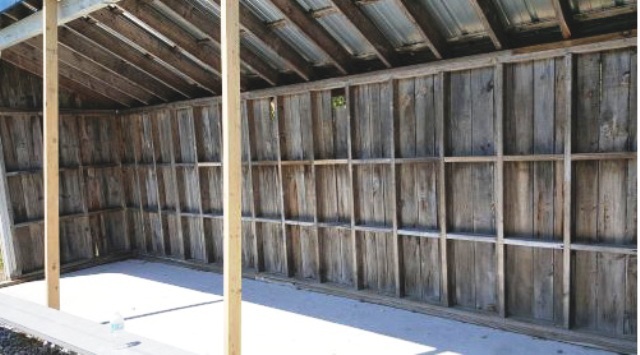 A storage shed was installed at the Wells Annex Cemetery. 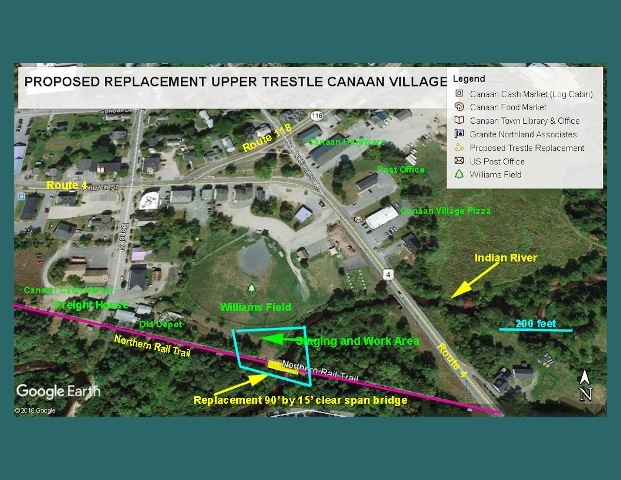 After 18 months of study and analysis, a plan was designed to reduce flooding of residences and commercial space in Canaan Village. The proposed mitiagation plan can be viewed here. 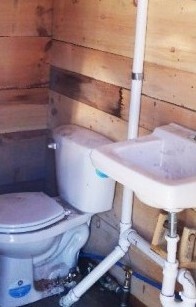 We created indoor plumbing for the Transfer Station attendants. With the installation of fencing and wiring for the lights, Elliott is now completely finished and ready for use. 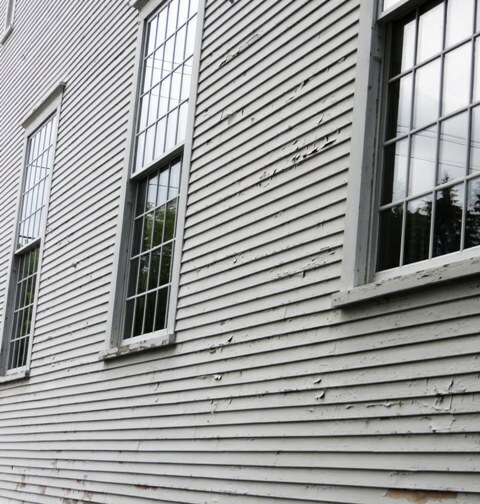 We replaced rotted clapboards at the Meeting House and installed an alarm system. 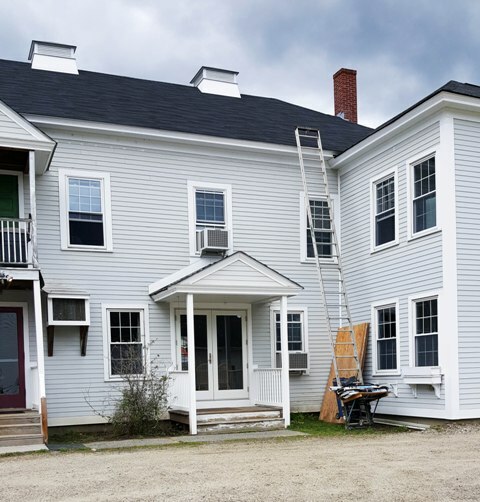 We painted the back of the Library, the back of the Museum, and the front of the Town Office, and the front of the Meeting House. We re-shingled the back roof of the Senior Center, replaced the cupolas, and regraded the parking lot. 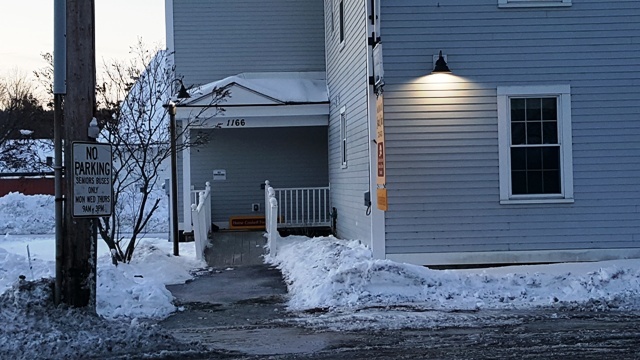 We installed new doors at the Fire Station, repaired doors at the Highway Garage, and installed a new door and door opener at the front of the Town Office. We installed new aeration equipment at the Sewer Plant and new pumps at the Sewer Pump Station. There have been a few government buildings projects this year. 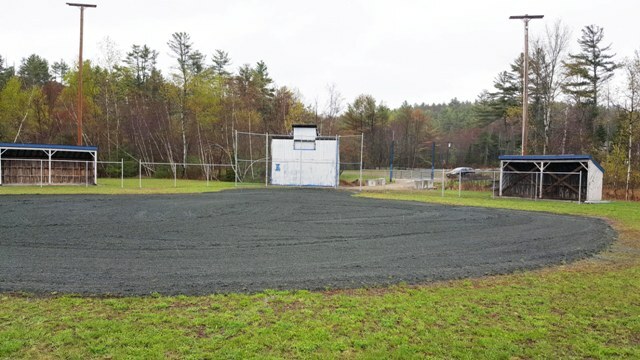 The ball field at the new Elliott Field is complete except for the fencing and bases. The lights have been wired but the fixtures need to be installed. Of course we have a Notice of Deficiency on wetland and stream alteration which we will be addressing. 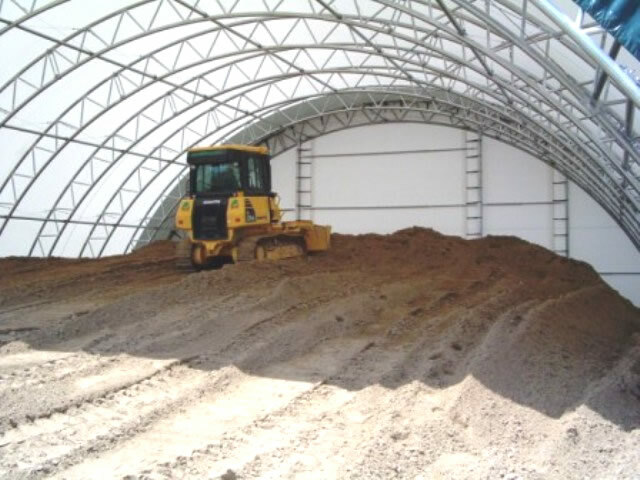 The Autoware property had additional remediation to remove petroleum products in the soil. 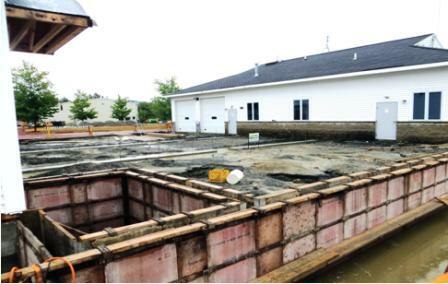 The old building was removed and the lot was leveled and compacted for paving next year. 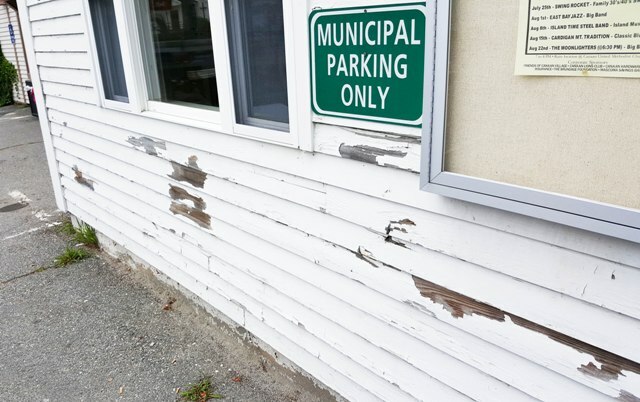 About 30 new parking spaces will be added to serve the Senior Center, the Library and the Town Office. 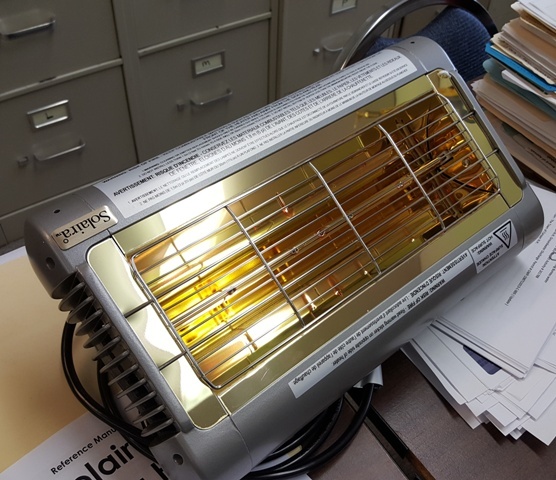 The Senior Center received a new, efficient heating system. The system is gas. 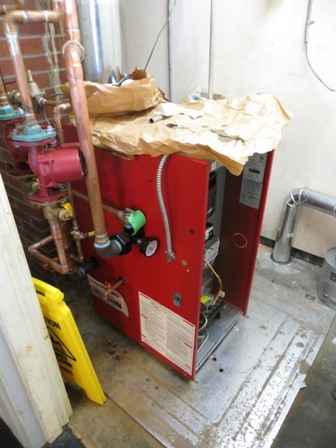 Grafton County Senior Citizens Council received a grant to install a new furnace. 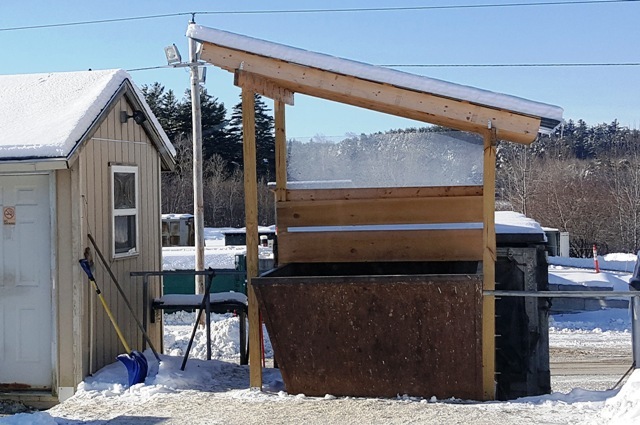 The Town paid to install a new underground propane tank and connect it to the kitchen and furnace. The new system will cost the Center much less for fuel. 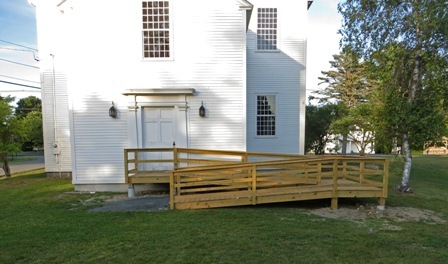 A new handicapped access ramp was built on the west side of the Meeting House and new historic wrought iron railings were installed on the South and East doors to the Meeting House. Seven sets of sashes have been restored so far. There are many more to go. 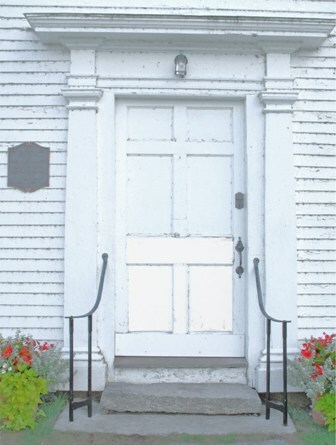 New corner boards were installed on the Meeting House this fall and the front door will be repaired over the winter. 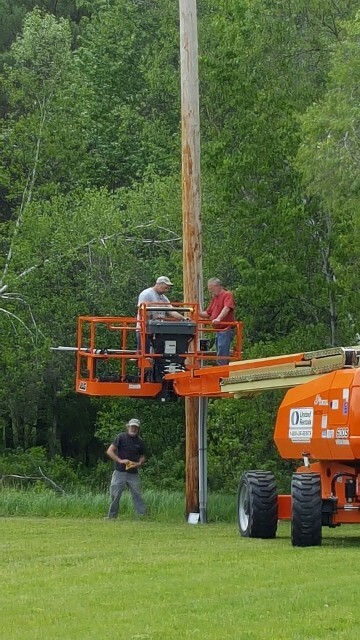 The lights for the Meeting House bell tower are also being replaced. Canaan Hall is getting additional florescent lights and a rebuild of the large garage door at the end of the building. This work is being shared by the Town and the Track. The EOC is currently being fitted out as an Emergency Operations Center with extensive audiovisual, computer and communications equipment. The Town is about to replace the front door of the Town Office with an electric door opener. The elevation has already been adjusted to remove any surface impediments to entry. 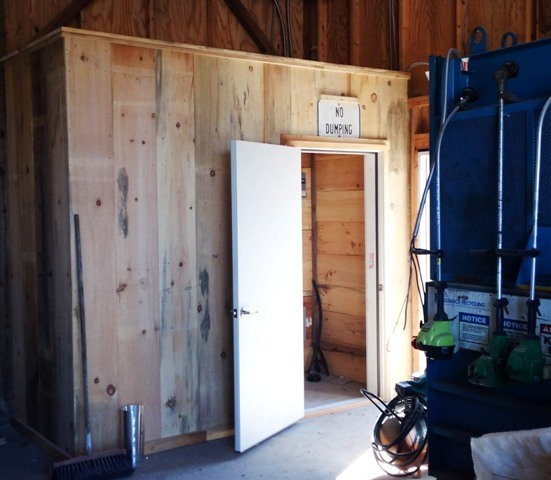 A new recycling shed at the transfer station was completed this summer. Volunteers moved bleachers from the Canaan MotorClub to Mascoma Valley Regional High School. An electrical storm late this summer destroyed communications and computer systems. 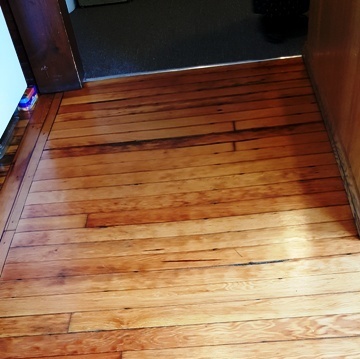 The damage was covered by insurance but the replacement took two months and more than $30,000. In 2015, Bob Scott and his crew have been working in their free moments to complete the Elliott Field move. The parking lot is complete. 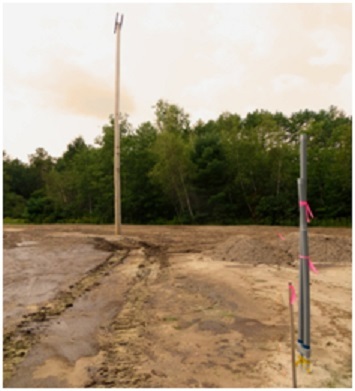 All of the light poles for night play have been set. The conduit has been installed. The next steps will be to install a concrete pad for the home plate scoring booth. 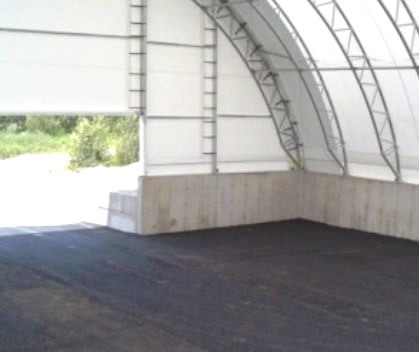 The booth is now stored at the Canaan Gravel pit and will be moved to the pad once the pad is complete. This booth will allow for the connection of the electricity. 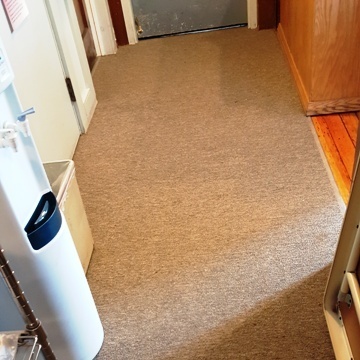 Following that, an electrician will complete the pulling of wires and reinstallation of the light fixtures and junction boxes. After this is completed, they will install the jock sand in the infield area and seed the out-field areas. 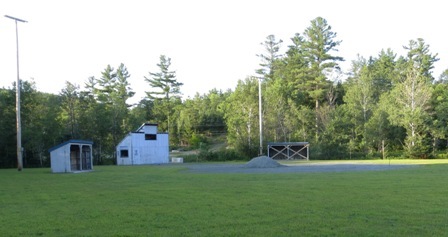 The final phase will be to move the grandstands from the old Canaan Speedway from their storage area at the transfer station and install them for use at both Elliott Field and Williams Field. 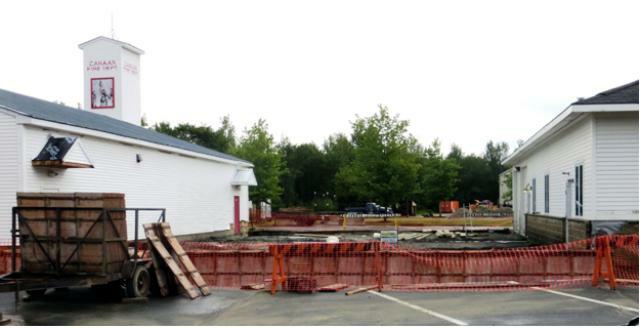 Another project underway in 2015 was the installation of new meters at the Canaan Wastewater Plant. The Town takes septage from private homes from Canaan as well as other towns. It also takes leachate from Lakeview Condominiums in Enfield. The meters will allow for more accurate record keeping and billing. 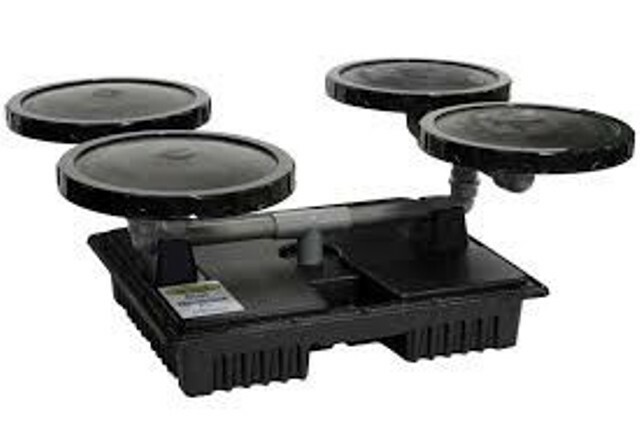 The water and sewer superintendent is installing this system. 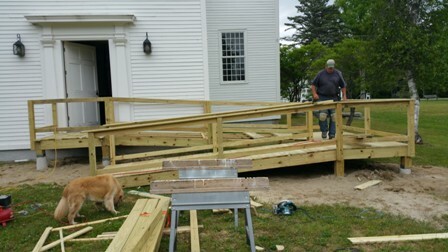 2015 building and grounds projects also included a focus on the Meeting House. 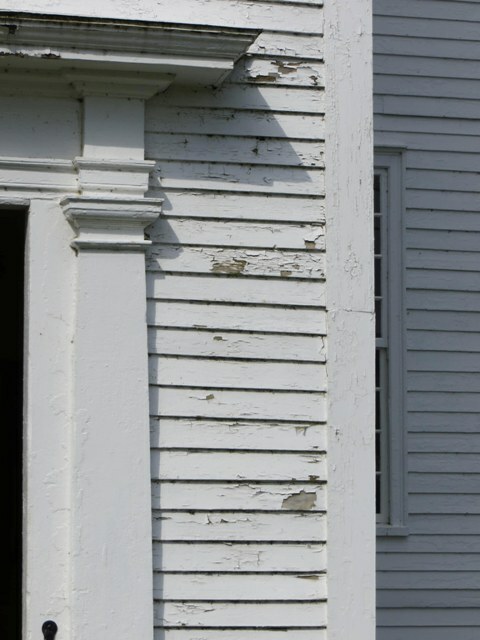 The Meeting House Preservation Committee is raising money to restore windows in the Meeting House. 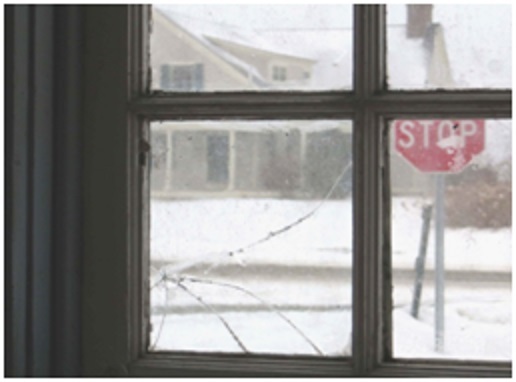 Many of the windows have broken glass, poor caulking and need paint. Each sash is being pulled, photographed and sent for repairs. Al Posnanski, Joe Frazier and Dave"s Glass are undertaking this work. The Preservation Committee is also planning on building a new handicapped ramp at the rear of the building. In 2014 work was completed on the FAST Squad addition. 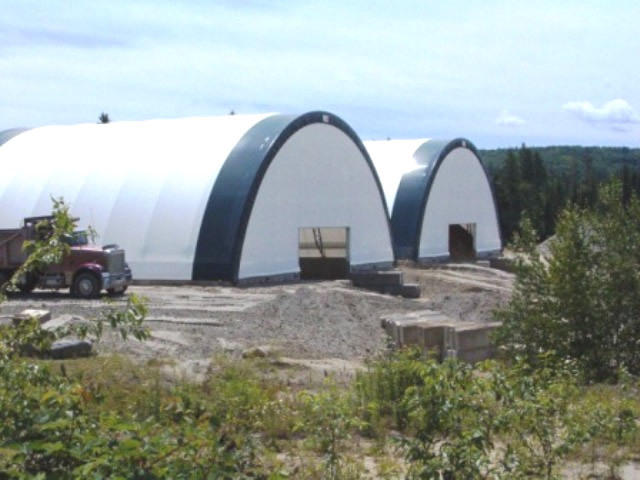 The general contractor, MTD organized the construction and the footings were poured by Labine. 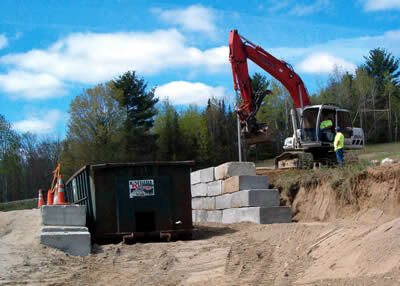 The construction process was managed by the FAST Squad with financing through Mascoma Savings Bank. While the finished building, which houses the F.A.S.T. Squad, the Police Department and the Fire Department is owned by the Town of Canaan, all of the funding and construction was the responsibility of the FAST Squad. This addition for the F.A.S.T. Squad allows for a third ambulance as well as two small bunk rooms for 24 hour coverage by the FAST Squad. 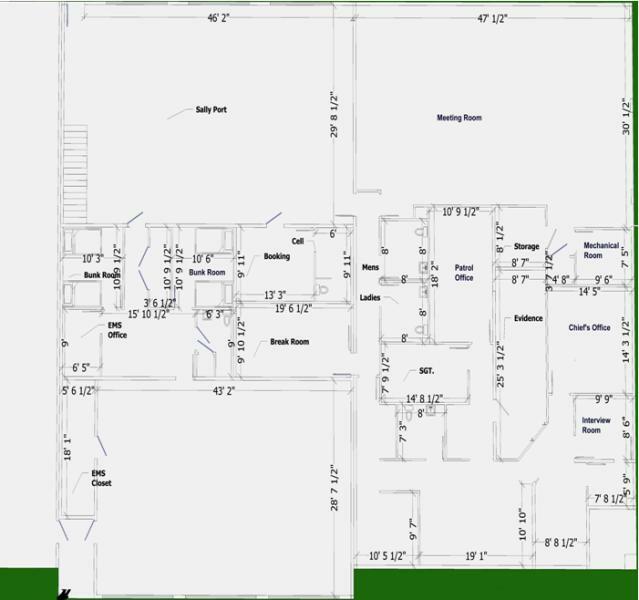 Additional space is being used by the Police Department for a larger booking area and holding cell with a bathroom, and a larger evidence room. In addition, a large public meeting room was created where the former police garage was located. On August 15, 2014 more than a hundred people joined F.A.S.T. Squad members in taking tours of the facility and enjoying refreshments donated by Chappy Kilgore and Susan Ignacio. Chief Sam Frank acted as emcee and thanked more than thirty corporate and individual donors who made the complex financially possible. The facility was dedicated to those volunteers and donors. A number of community volunteers were also recognized for their labor in completing the job as was MTD Construction. 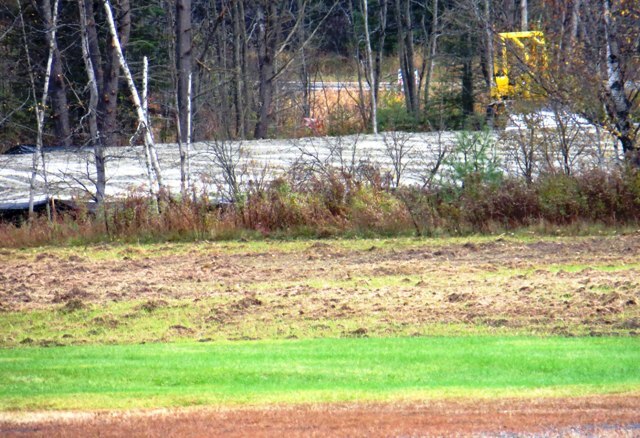 As part of the Canaan Speedway sale, negotiations were made to move the location of Elliott Field. 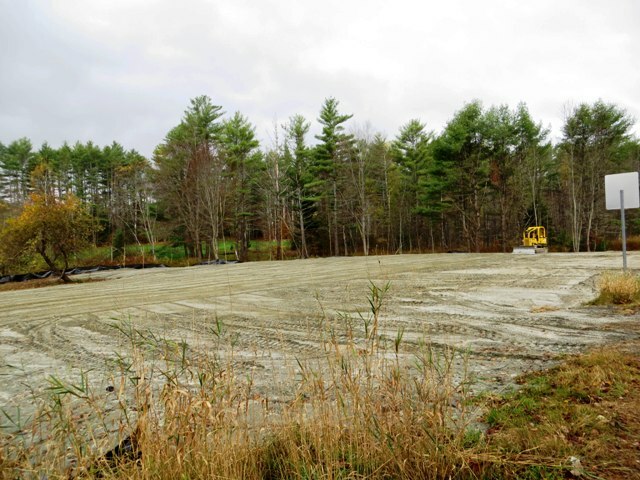 Gerngross, the new owner of the Speedway, funded the cost of moving the ball field, lights, buildings, and fencing to its new site behind Canaan Elementary School. 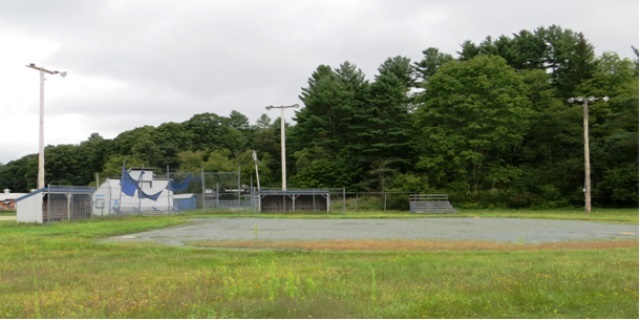 For the first time, this ball field will be located on public land which will assure its continued use. The field will have lights, dugouts, and a scoring booth installed in the Spring as well. 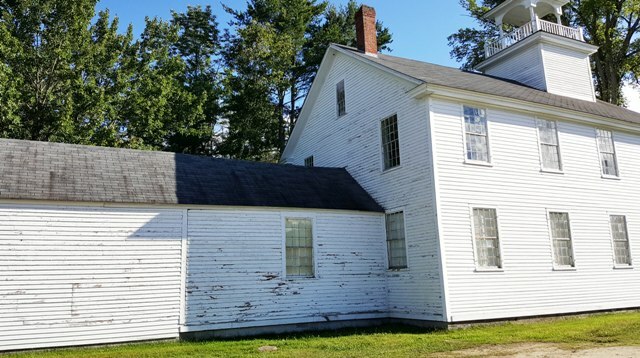 The Meeting House Preservation Commission had two projects underway in 2014 for the Meeting House. The Commission approved the replacement of light fixtures in the main hall and in the balcony. Money was raised, and the lights purchased over the summer. They will be installed over the winter. 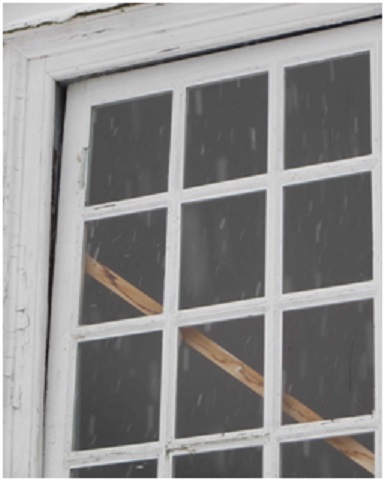 Their second project is to start the restoration of the windows. The first two have been removed and sent for repairs. Funding is still needed for this project, and the preservation commission is seeking contributions. Contributers may have their gift memorialized on window plaques, in a similar manner in which donations given for the pew boxes were done. 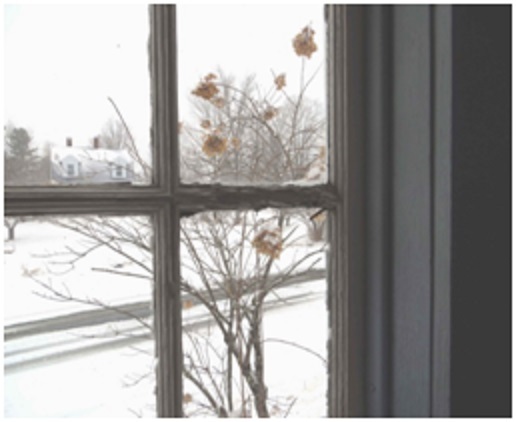 To donate, contact a member of the Meeting House Commission, or send a check to the Town of Canaan with a memo, "for Meeting House Windows." The Town currently owns the Autoware property by tax deed with the right of redemption held by Autoware. We are looking to acquire this property by grants and gifts. The reasons are three fold: To add parking spaces for the Town Office, the Library and the Senior Center (the property goes behind the Senior Center); To improve the appearance of the Village; and To create a retail store front that is self funded and markets local food, local arts and crafts and local businesses. This project would not use any tax dollars and would be self funded through rent and fees. 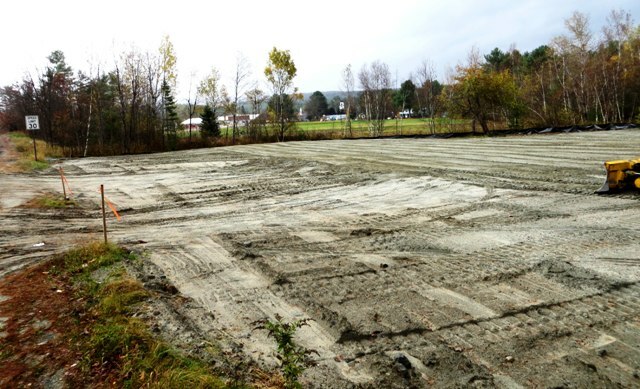 In 2013 Canaan Speedway was purchased by Tillman Gerngross to create a road rally style race track. As part of the acquisition, Tillman wanted to preserve Canaan Hall as a community resource. 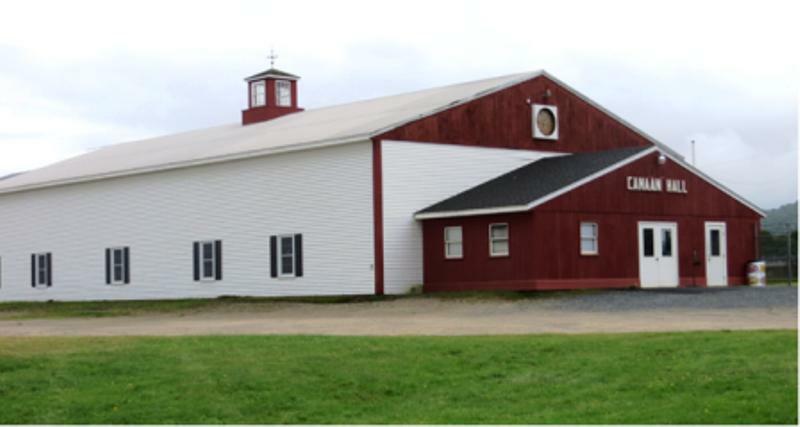 In an exchange for a waiver of taxes on the building and the small parcel of land that it sits on, Gerngross has leased the Canaan Hall to the Town for community use on a year to year basis. The transaction took place on November 1st. In the first two months, the Hall has hosted a number of events and raised enough money to heat it all winter. There was a fundraising dinner for recreation, several weekend Farmers and Crafters Markets, public meetings for the regional health center, several Christmas parties, a wedding, a memorial service, a community Thanksgiving Dinner and an athletic banquet. The Hall will raise the money necessary to fund its operation or we will discontinue our use. Future plans include dinners, recreation programs, arts and crafts, music programs, arts, crafts, flea markets, farmers markets (off season) and private events. It is available for rent and alcohol is allowed. Contact the Town Office for information. The Town Office worked with the FAST Squad to reach an agreement that was helpful to all parties in creating a new FAST Squad building that allowed FAST to add another ambulance and generate revenue from discretionary private transport of patients. 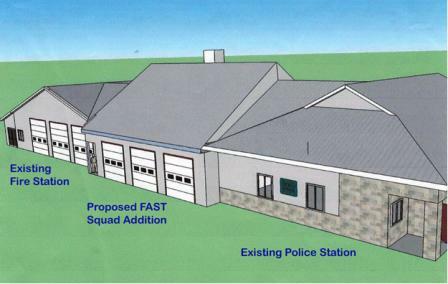 The result is a new building serving police and FAST that is funded by FAST and owned by the Town of Canaan without any financial obligations. The Town and FAST entered into a long term contract to keep the cost of ambulance service stable over the next 20 years. Part of the plan will include a large public meeting room that will benefit the entire community as well as a new safer holding cell and more storage. Several buildings that had been abandoned by the owners were cleaned out and sold to restore those properties to use and to the tax rolls. Enforcement action continued against three junk yards in the Town. For the second year, a skating rink was created at Williams Field. Unlike last year, the rink is composed of reusable parts allowing it to be set up each year. More than $20,000 worth of painting was done at the Meeting House and the Union Academy Museum. Three sides of the museum and the two long sides of the Meeting House were painted with a very tough primer under the surface paint to keep the paint from peeling for a longer period. A new telephone system was installed this summer that allows for extensive flexibility and portability of phone service. The system includes the ability to directly switch calls between all departments & buildings and move extensions assigned to a particular employee from building to building as needed. The Buildings and Safety Department is actively involved in managing the safety of Town operations. The Health & Safety Committee, composed primarily of employees, meets every three months to monitor work conditions and to organize employee safety training. 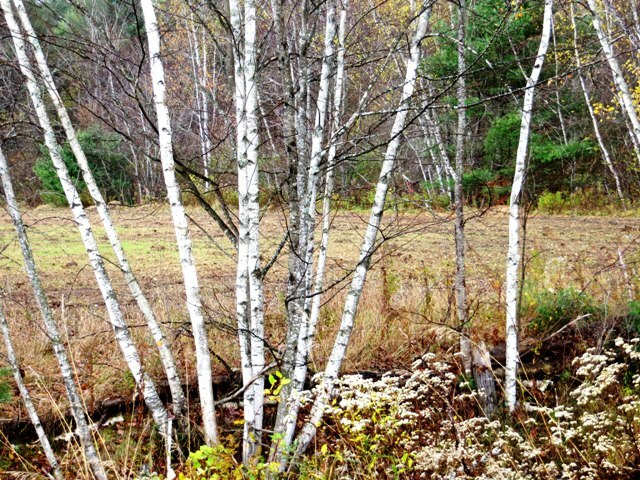 During 2012, the Town underwent a town wide safety audit by the NH Department of Labor and numerous corrections were made to the operating environment. Over the past 4 years, the Safety Committee has performed self assessments in every Department to identify problems and correct them before there is a State audit. Every year, the Safety Committee organizes up to six Health & Safety Training Programs for all Town employees. The Safety Committee also looks at Workers Compensation statistical data for Canaan so that we can better manage known worker risks. It"s open! 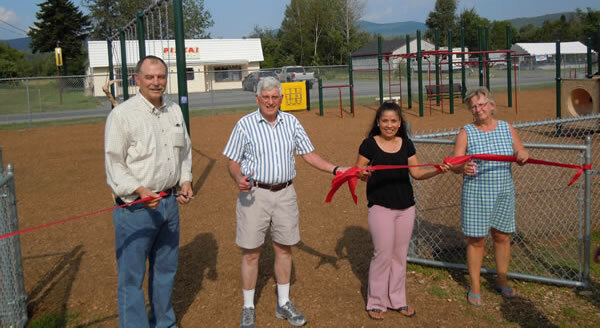 A complete reconstruction of the Williams Field Playground offers new activities, challenges and discoveries for all ages and abilities. 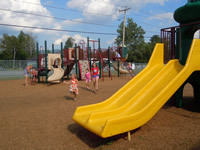 Thanks go to the parents' Friends of the Playground as well as town businesses, the Williams Field Fund, the Recreation Commission, Selectmen, MVHI, UV HEAL, and the project's lead sponsor, Timken Foundation of Canton. The Senior Center has a new elevator. 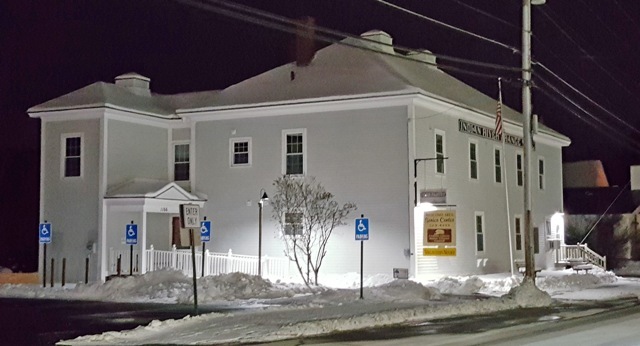 The Grafton County Senior Citizens Council uses the Indian River Grange building for their senior center which includes meal preparation, congregate meals, operation of the food pantry, outreach programs, transportation services and public meetings. 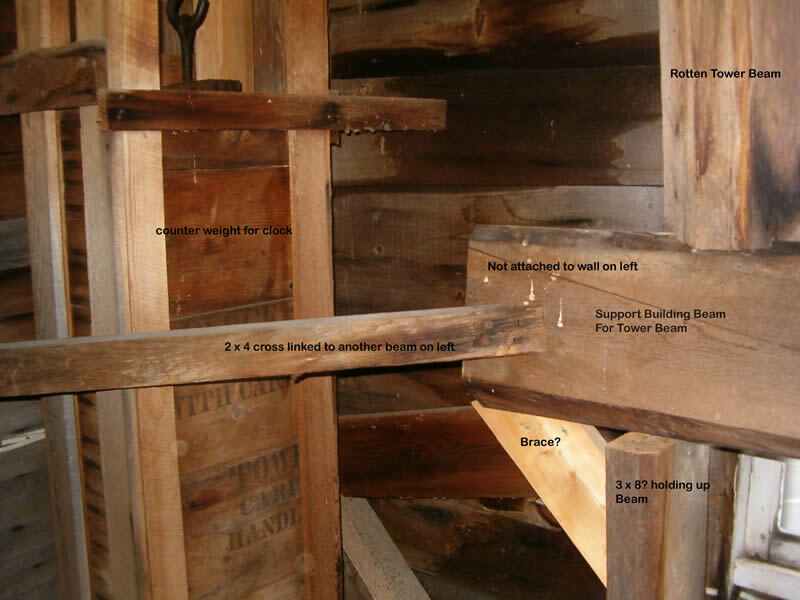 The Town owns the building and we are responsible for all repairs to the structure of the building. 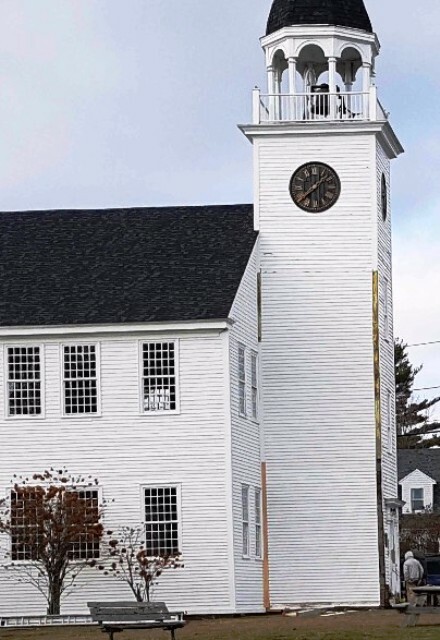 The meeting house tower has been restored. The new beams have been installed and the Cupola replaced on the bell tower. 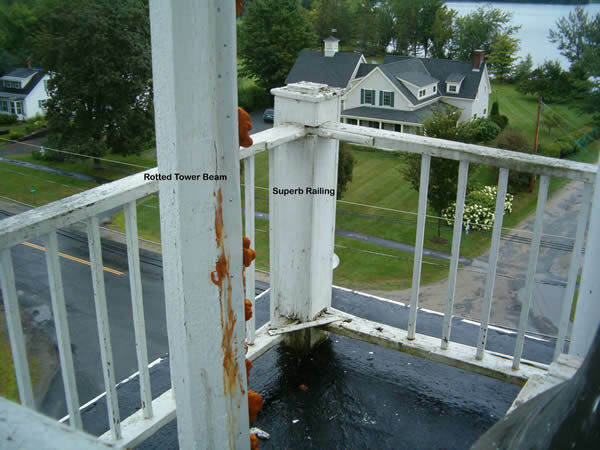 Final repairs were completed in the early Fall of 2012. 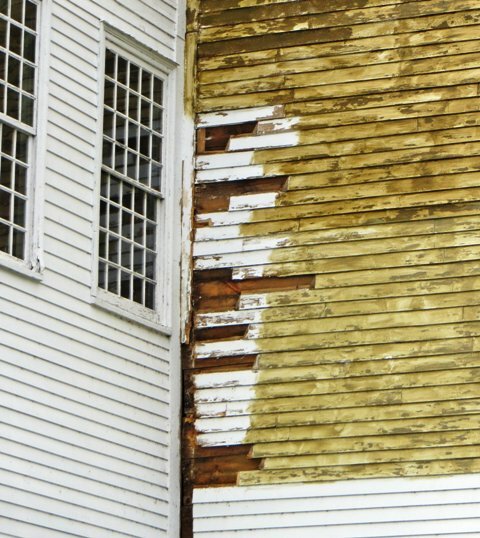 Now the focus turns to preservation - and we still need your help! 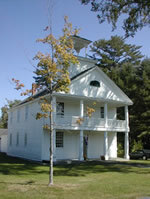 Learn more on the Meeting House Page. Click here. to view the video provided by Carol Bergeron of the tower being lifted off by a crane. The Town has completing the restructuring of the transfer station begun using the live floor trailer. 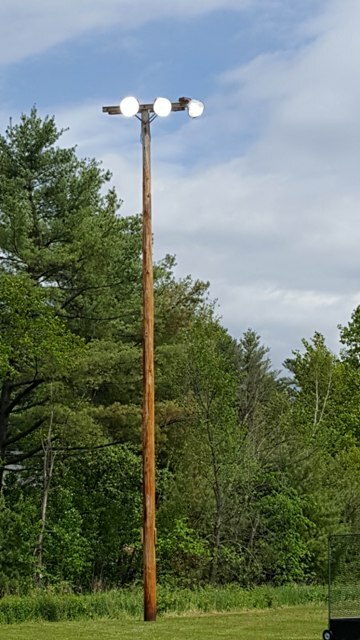 This new system will save the town nearly $15,000 a year. Learn More on the Transfer Station Page! 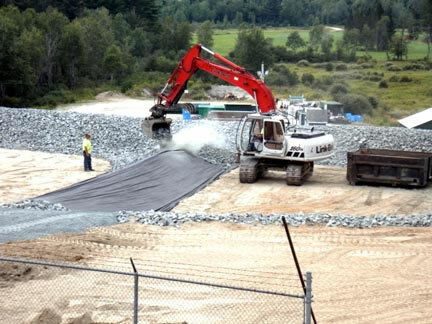 The Highway Department completed the installation of new rapid infiltration beds at the wastewater plant in September 2012. The new beds will increase the sewer capacity by 36% allowing us to remove the moratorium on the connection of new users. Who do I contact for general questions regarding town buildings? Town Administrator: Mike Samson. He can be reached 603 523-4501 X5. All major fire, health or police needs should be directed to 911! If you have an emergency or safety regarding a building or grounds you should call & page the numbers below. Examples of these emergencies include doors locked or unlocked, toilets, sinks or water issues, trees down, electrical issues, etc. How do I rent or use a town building? Each town building has an appointed group or individual to mange this function. If you are unsure who to call, you can contact the Town office at 523-4501x105 to get assistance. How do I generate a request for maintenance regarding a building or park? Submit a Request for Maintenance to the Town Administrator (The link is to the left). All requests are documented on a "Work Order". This W/O will be reviewed by the B&G department and Select Board if so required. All W/O that are accepted will be scheduled based on need and priority. You can contact B&G at any time for status. I noticed some people vandalizing town property, who do I contact? Call 911 or the Canaan Police directly at 523 -7784. Do not take any action yourself. I went to the park and found someone had vandalized town property, who do I contact? Call the town administrator at 523-4501 x5. Why haven't some buildings been fixed or painted? 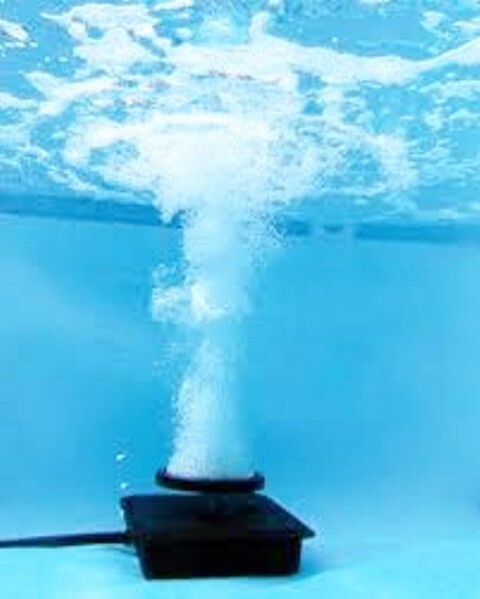 Funding is generally the major issue we face when trying to repair or build new. 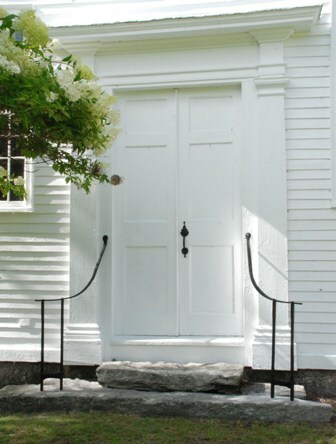 The town accepts contributions for many of our historic buildings; call the town administrator to learn how you can help. We are currently working with the budget committee volunteer groups and the CIP (Capital Improvement Committee) to put together a plan to fund many of these major projects. 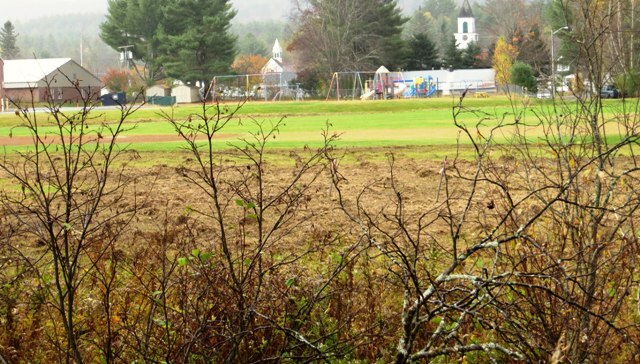 The Town of Canaan enforces the laws of the State of New Hampshire on serious violations of the State's Junk Yard law. See the Town of Canaan Junk Yard Enforcement Policy for what constitutes a junk yard, when enforcement will take place, and what the penalties will be.